Bitvavo - Are the digital currency on my account safe? All Categories ​>​ Security ​>​ Are the digital currency on my account safe? Are the digital currency on my account safe? All of the customers’ digital currency are saved in an omnibus account issued by Stichting Bitvavo Payments, which is totally seperate from Bitvavo B.V. This way the results of Bitvavo B.V. could not have any impact on the funds of the users of Bitvavo. Most of the digital currencies of our users are stored on so-called ‘cold wallets’. These wallets are not connected with the internet and are stored in a secure place. In this way these cold wallets cannot be hacked. To guarantee that you can sell or withdraw your funds quickly, Bitvavo keeps a percentage of the stored digital currency on a so-called ‘hot wallet’. The cold wallets which Bitvavo uses are multisignature wallets. Because of this, only a select number of Bitavo employees have access to the cold wallets and they can only access it together. By taking, among others, the above measure your digital currency stored at Bitvavo is extremely well secured. Nevertheless, you are ofcourse able to withdraw your funds to your own external wallet to ensure that you are completely independent. How you could withdraw your funds to an external wallet is explained in more detail here. 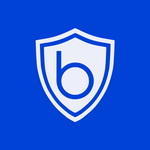 Additonal information about which security measures Bitvavo takes can be found here. How much are the withdrawal costs (blockchain fees) for digital currency?